Walking down to the house, with it weirdly lit from a dark-purply-clouded northwestern sky, all you want to do is be inside, for the duration of the long night ahead. It isn’t teatime, but too early for dinner. 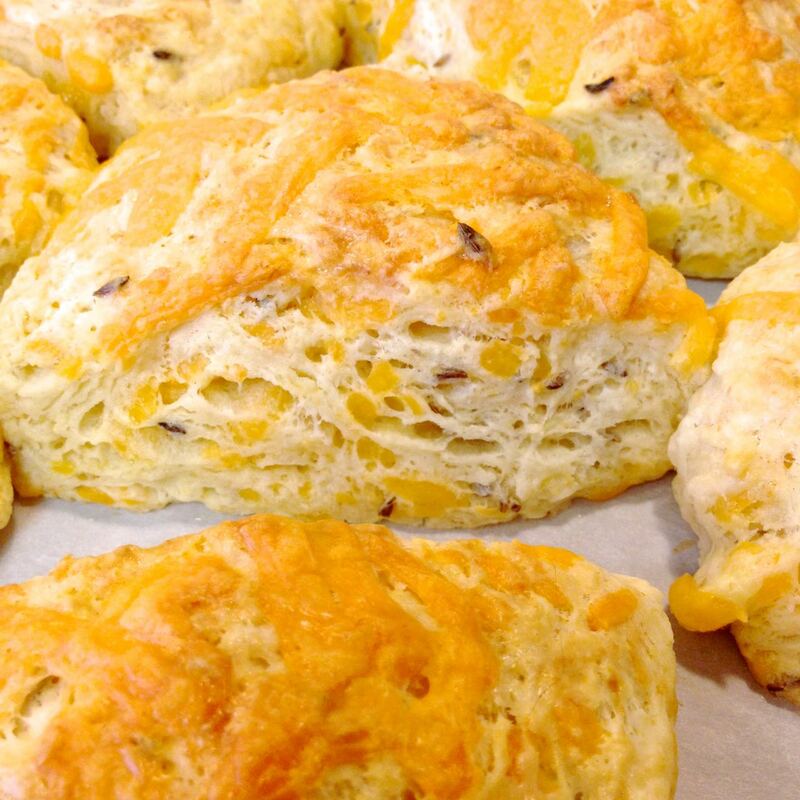 How about a cheese & cumin scone to warm you from the inside out? These are so good, with the earthy warm tones of cumin settling over the always-wonderful flavour of aged cheddar. Make a batch, have one with a late afternoon “beverage”, and hold yourself until that late dinner that is somehow going to appear miraculously. If it doesn’t appear, maybe it just wasn’t meant to be. You can always have another scone, and another glass of…. Toast the cumin seeds in a skillet over medium heat for 2-3 minutes, stirring. Reserve. 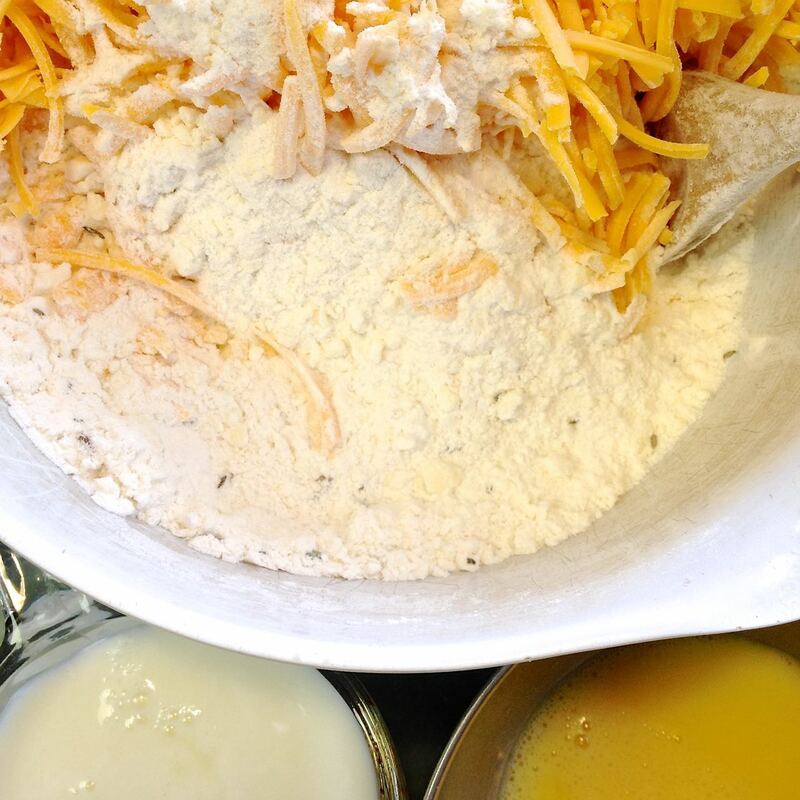 Whisk together the flour, baking powder, sugar, and salt in a bowl. 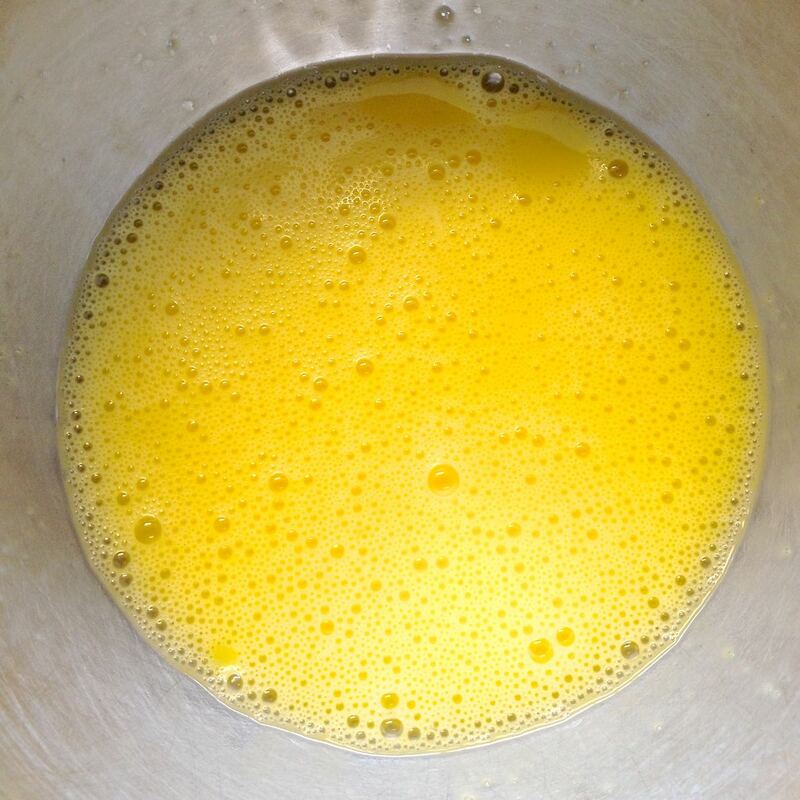 In a small bowl, whisk the egg with a tablespoon of water. 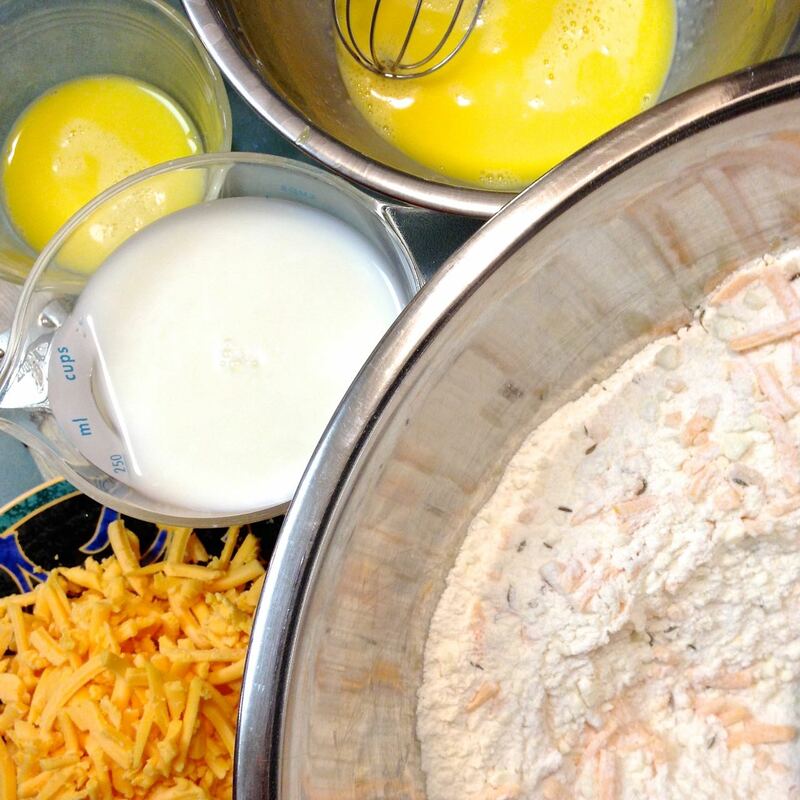 Scoop out 1 Tablespoon of the mixture and reserve for brushing the tops of the scones. 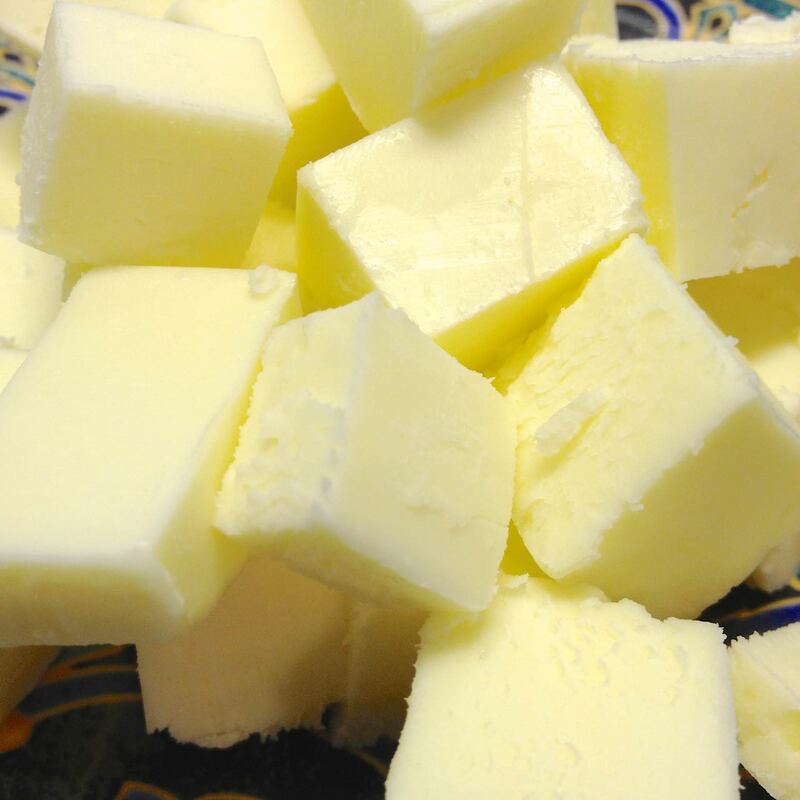 Cut the butter into the dry ingredients using a pastry cutter, processor, two knives, or crumble the butter between your fingers. Stir in the toasted cumin seeds, and ⅔’s of the grated cheddar. 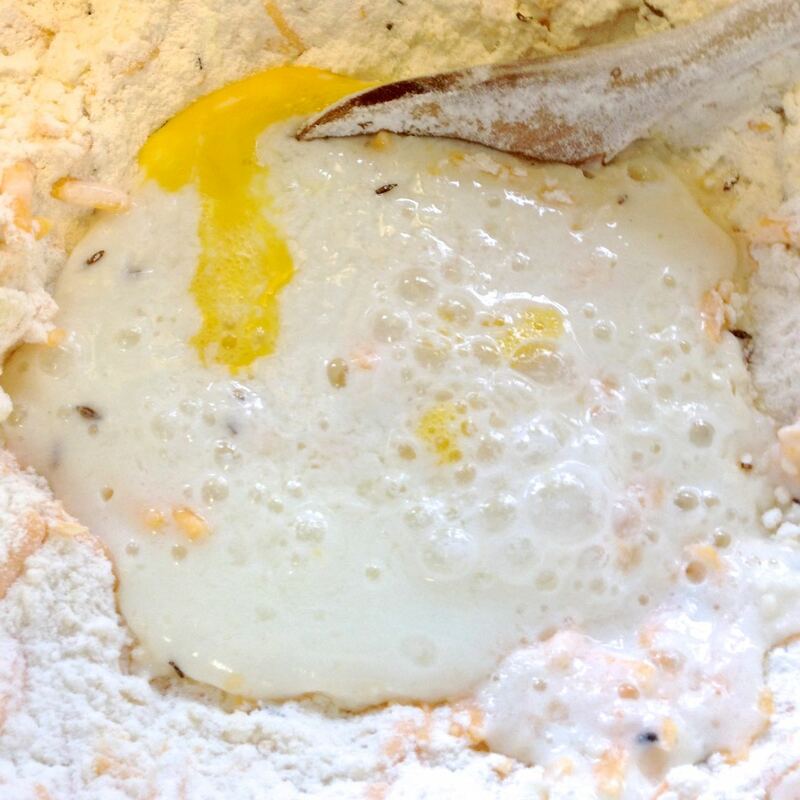 Add in the buttermilk and the main portion of the egg-water mixture, and stir to incorporate. 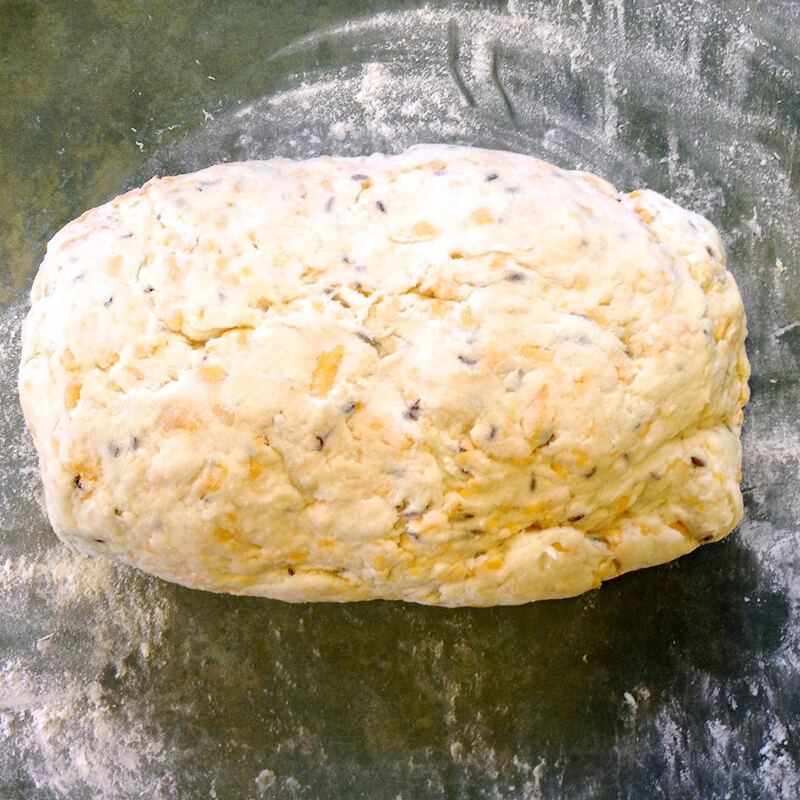 Knead on a lightly floured board until it holds together. Form a short stubby log, and cut in half. Press each half into a 1” thick disc, and cut each disc into 6 equal wedges. 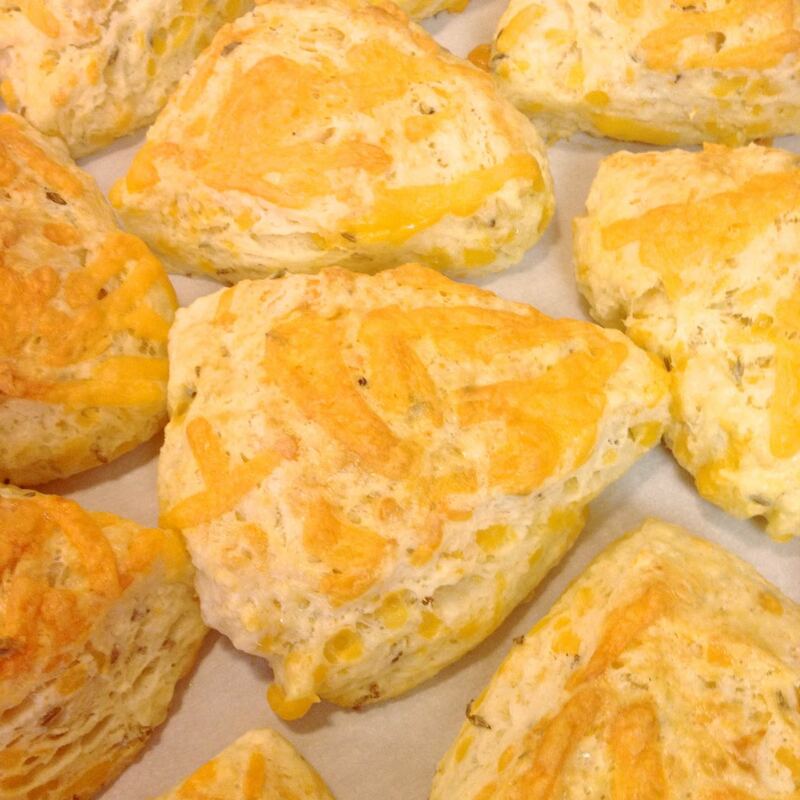 Place the scones on the baking sheet. Brush each wedge with a bit of the egg-water mixture. 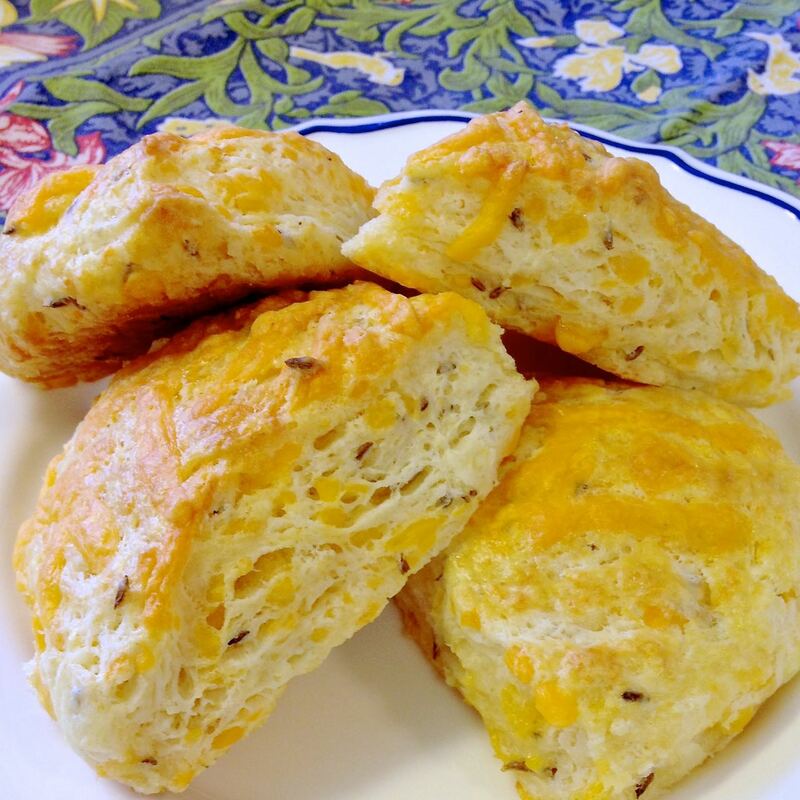 Scatter the remaining grated cheese, equally, on top of the scones. 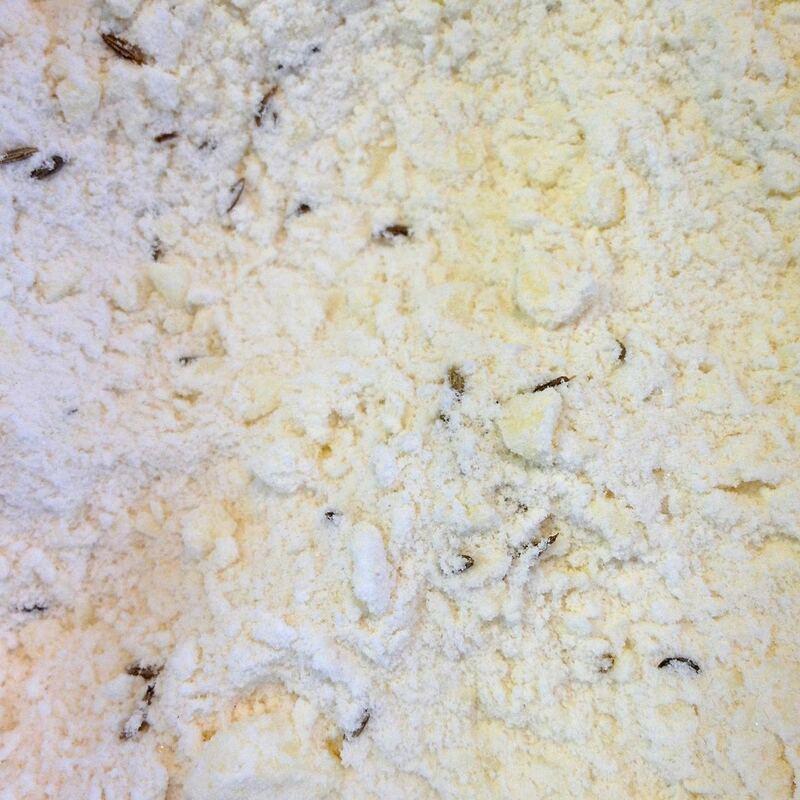 Bake in the center of the preheated oven for 23-25 minutes until just beginning to brown. Let cool on the baking sheet for 10 minutes or so, and serve.